Senate Properties has created a new, smart user interface for property maintenance in cooperation with other leading operators in the field. During the pilot project, data will be collected about the pilot building for easier maintenance and prevention of problems. All a user has to do is take a picture of a QR code. “We want to create safe and healthy work environments. In the Smart Workplace project, people are able to provide feedback rapidly through a feedback interface and notify property maintenance immediately about any issues in the work environment,” says Esa Halmetoja, Specialist of Maintenance Digitalisation at Senate Properties. The first site of the Smart Workplace pilot is the tax and labour administration building in Oulu, with around 300 users. The project will be expanded to cover ten other buildings managed by Senate Properties. If an employee feels that a room is too cold, for example, they can take a picture with their smartphone of the QR code on the wall and choose “cold” in the user interface that opens automatically. This data will immediately be sent to a maintenance employee’s tablet device. The maintenance employee will accept the assignment, check the room and visit the heating unit to adjust the temperature, if necessary. The new user interface transmits information about ventilation problems, cold air and other problems, such as light bulbs that need replacing or loose skirting boards. Users can also report insufficient cleaning or request a toilet paper refill, to name just a few examples. “In such a smart environment, we can address problems more rapidly than in traditional buildings. This saves time and effort for both the users and the maintenance employees,” says Halmetoja. The new user interface is based on data transfer principles created by Granlund. Suomen Tilaajavastuu uses the interface in its Platform of Trust, a cooperation and service platform. “We studied the pilot building’s existing information models and updated them for the project. Together with its automation system, these models represent the building’s digital intelligence,” explains Tero Järvinen, Technology Director at Granlund. Information about an issue is sent directly to a maintenance employee’s tablet device. The QR codes and the mobile user interface were implemented by VTT Technical Research Centre of Finland, while the interface for maintenance employees was implemented by ISS Palvelut, a company specialising in property maintenance and facility services. “We wanted to create a simple and affordable solution that does not require users to install any applications on their smartphone. The QR codes can be read using the camera on any mobile phone,” says Otto Juhala, Account Manager at ISS. Issues can be addressed more easily and rapidly when the user does not need to separately access the Internet or find passwords or the contact information of the property manager or maintenance manager. In addition, the user does not need to specify the location – the QR code provides this information to the maintenance employee. The user interface provides maintenance companies and property owners with a significant amount of digital data, which enables them to predict and prevent problems. In addition, the need for employee resources is reduced with the elimination of unnecessary on-site visits. The system provides preventive instructions directly to the maintenance employees’ tablet devices. For example, the system makes use of weather forecasts and predicts, with the help of IBM Watson artificial intelligence, when room temperatures will decrease and what adjustments will be needed due to changes in the weather. When maintenance needs are known in advance, costly devices and special tools can be used across several buildings. 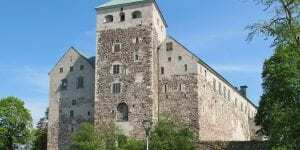 The buildings will also remain in better condition. “We need this data to take care of 9,000 government buildings and offer good work environments for the 55,000 people working in these buildings. It’s impossible for our property managers to keep visiting all of these sites,” says Halmetoja. In the future, it will be possible to use building information models related to smart work environments throughout the life cycle of a building. This is a major development for property owners. The team behind the smart user interface wanted to create a system so seamlessly integrated that employees won’t even notice it. The team consisted of Esa Halmetoja, Specialist of Maintenance Digitalisation at Senate Properties; Tero Järvinen, Technology Director at Granlund; and Otto Juhala, Account Manager at ISS. “The entire construction sector will benefit from the comprehensive use of digital capital. We will begin to see returns, instead of just expenses,” says Halmetoja. According to Järvinen, the positive results of the first pilot project promise scalability: each property can be designed in line with the same logic and standards. “There has been a great deal of talk about smart cities – but we need smart properties first,” says Järvinen. Senate Properties served as the project leader. ISS Palvelut, specialising in property maintenance and facility services, developed a user interface for transmitting data from customers to maintenance employees, as well as an artificial intelligence solution to prevent indoor climate problems. Granlund, specialising in the construction and real estate sector, enriched digital building information models from ten years ago. The company created a data transfer platform for applications developed by the other partners. Granlund also produced IFC models of the sensors and QR codes in the facilities. These models were used to link the data to other systems. Suomen Tilaajavastuu implemented a service platform for data transfer between the parties and for matching the data – that is, for matching a temperature reading with a room, for example. Cozify, a provider of home automation services, supplied sensors that collect data about the conditions in the building and transfer this data to the service platform created by Suomen Tilaajavastuu. 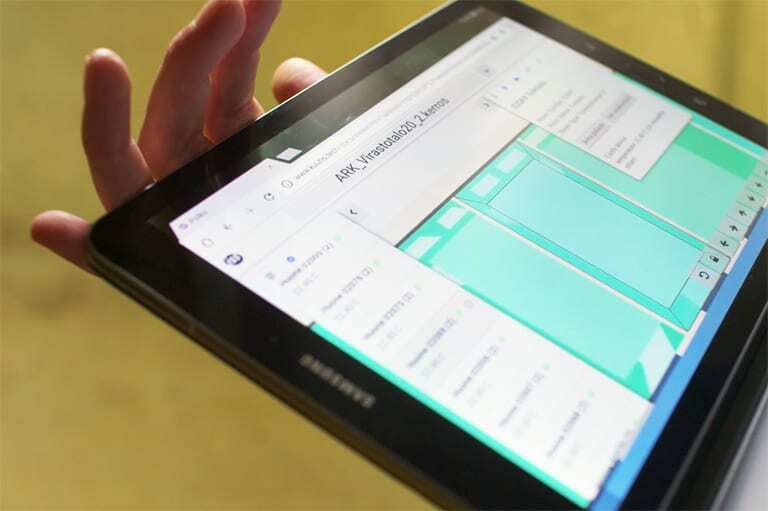 VTT Technical Research Centre of Finland created the mobile website that the end users see on their smartphones, as well as implemented a server for the building information model and for retrieving data for the service platform. Senate Properties was already using the Granlund Manager maintenance log software for property maintenance operations. This software automatically integrates into building automation systems. “In the project, we opened the REST API interfaces of the Granlund Manager software, which enabled other software to use the data collected in the maintenance log software,” says Tero Järvinen, Technology Director at Granlund. Granlund also built an information model that is linked to sensors measuring temperatures and carbon dioxide levels in the building. “The temperature and carbon dioxide level readings were linked from the building automation system to the open IFC information model. The readings of the IoT sensors supplied by Cozify were also connected to the same model. The data is transmitted to Platform of Trust, an open data channel for properties. Through this platform, VTT and ISS receive data in a standardised format for their own property systems,” Järvinen explains.